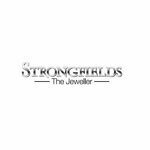 A long established firm of professional jewellers with our own state-of-the-art design studio & workshop in the city centre of Preston. We also sell selected rare and vintage jewellery and obscure collectables. We are officially registered at both Birmingham & Edinburgh Assay Offices.